ICICI Prudential is one of the top life insurers in the market now. The company is renowned for its diverse range of life insurance plans that allow individuals to secure their family’s needs. Some of the plans offered by ICICI Prudential include term insurance plans, money-back plans, ULIPs, retirement plans, group plans, etc. The cost of these insurance plans differs from one another. To make it easy for customers to calculate the price of different products, the company also offers various financial tools and insurance premium calculators. 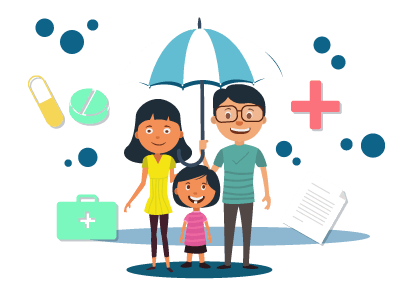 The cost of life insurance is dependent on various factors like age, income, health condition, family medical history, sum assured amount, risk factors, retirement age, etc. The needs of every individual differ from one another, and the premium is likely to differ drastically from one person to another. When people do research on the policies in the market, it would be a tedious affair to apply for quotes from all companies and wait for the companies to respond. This is where premium calculators come into play. With premium calculators, people can simply enter the details on their own and calculate the tentative premium amount by themselves. Based on the prices of different policies, they can make a final decision about the policy they want to purchase. Since the price quote is given almost instantly, both insurers and applicants can save a lot of time in this process. By giving the price of various policies, premium calculators help people find a policy that fits within their budget. Scroll down and locate ‘Tools and Calculators’ in the bottom of the homepage. When you click on that link, you can find the financial tools and calculators offered by the company. You may choose the calculator based on the type of plan you wish to opt for. If you are planning your retirement corpus, you can choose the ‘retirement planning calculator’ and calculate the premium amount for your policy. The retirement planning calculator will ask for basic details like current age, retirement years, current annual income, and percentage of annual income you wish to invest. For instance, a 35-year old person earning Rs.5 lakh per year can get a retirement corpus close to Rs.30 lakh (assumed rate 8%) by investing 10% of his/her annual income for 25 years. Individuals can increase or decrease their investment amount based on the amount they wish to have. Similar calculations can be done for child plans and other endowment plans available with ICICI Prudential. A premium calculator is very effective when it comes to comparing different products in the market. Since cost is one of the major decisive factors, it helps people find the right product that fits within their budget. It is a simple, user-friendly tool that helps customers get the required information on their own without contacting the insurer. The calculation used to determine the cost of insurance products is a complex one. Premium calculators simplify these calculations and provide results instantly. Customers can understand various life insurance products in a better way by using premium calculators. ICICI Prudential offersvarious life insurance products to meet the specific requirements of its customers. When using premium calculators, customers can try out multiple products and choose the best one suitable for their requirements. In addition to offering tools for specific insurance products, ICICI also offers others tools like the power of compounding calculator, human life value calculator, cost of delay calculator, etc. Customers can use the right tools to determine their expenses and engage in proactive investments.